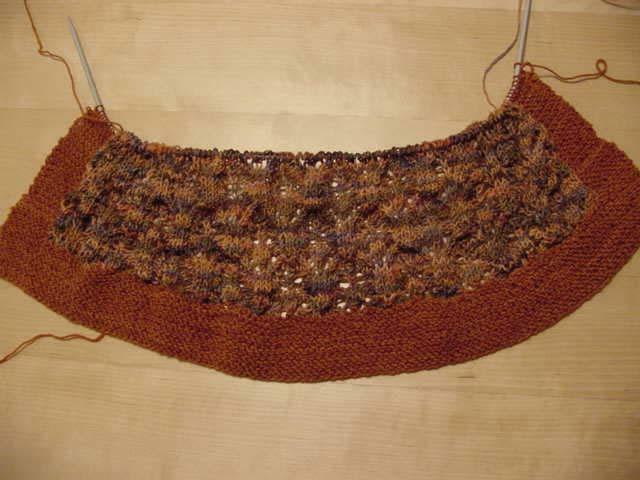 I've been feeling guilty because I haven't worked on the koigu shawl for over a month. So I worked a couple of rows tonight and realized I can't let that much time go between rounds. 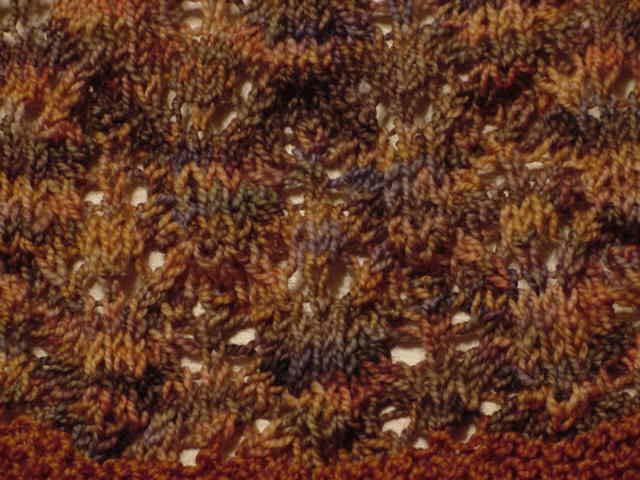 I kept getting the lace pattern screwed up, and I forgot that the edges were supposed to be garter, not stockinette. 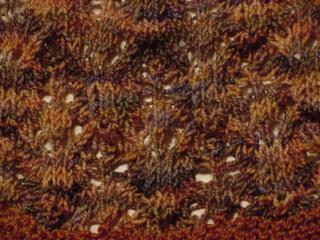 So I spent almost as much time unknitting as I did knitting. As usual, it'll show up much better when it's blocked. Guilt or no guilt, however, it's time for bed. I've got a long day tomorrow.